Last night it was only Mac and I home for dinner and Jason needed something he could grab as he was running out to a hockey meeting. This is a perfect quick meal and it works when you are on the go! 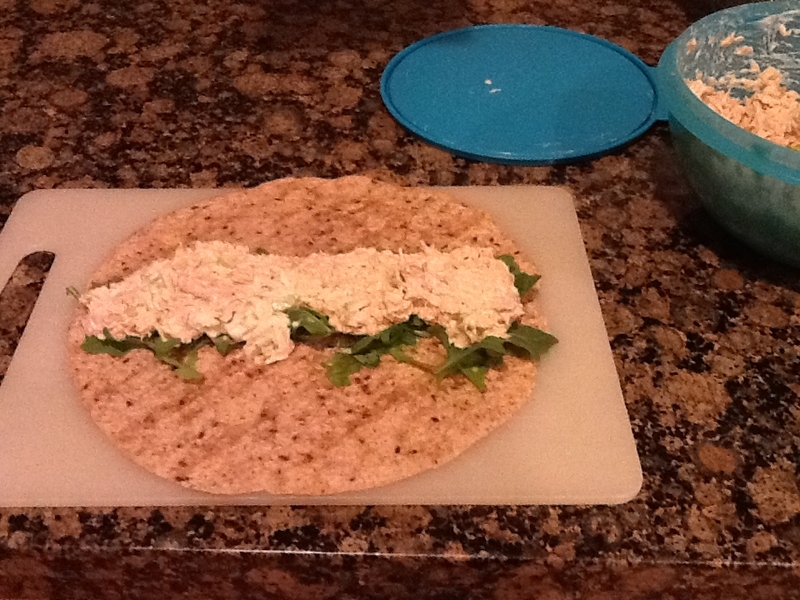 Berkeley, my oldest daughter, loves the tuna wraps from Booster Juice, so I came up with this recipe to try to mimic them. 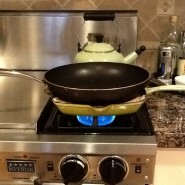 Spray grill pan (eg. Le Creuset http://www.lecreuset.ca/Cookware/Enameled-Cast-Iron/Skillets–Grills/Square-Skillet-Grill-26cm/ , but any will do) with nonstick cooking spray and preheat on medium high heat. 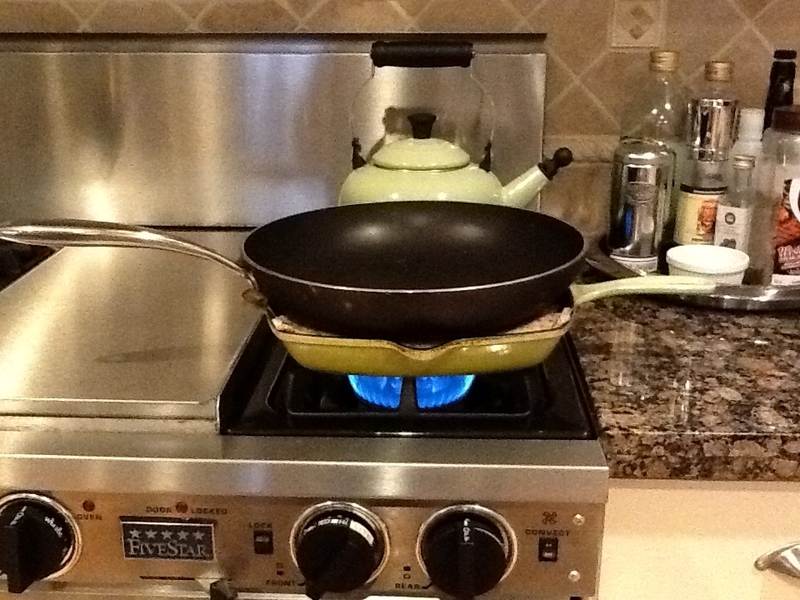 You could also use a panini maker. 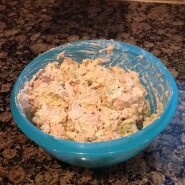 Drain the tuna and mix together with celery, mozzarella, mayonnaise,Dijon, and add salt and pepper to taste. Lay out flour tortillas. Mound some baby arugula in a line down the center. 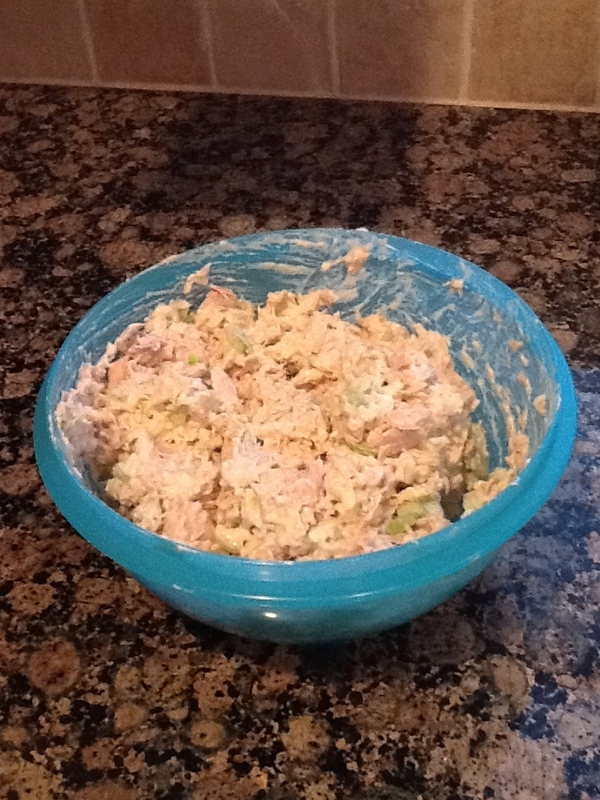 Add tuna mixture on top, following the center line. 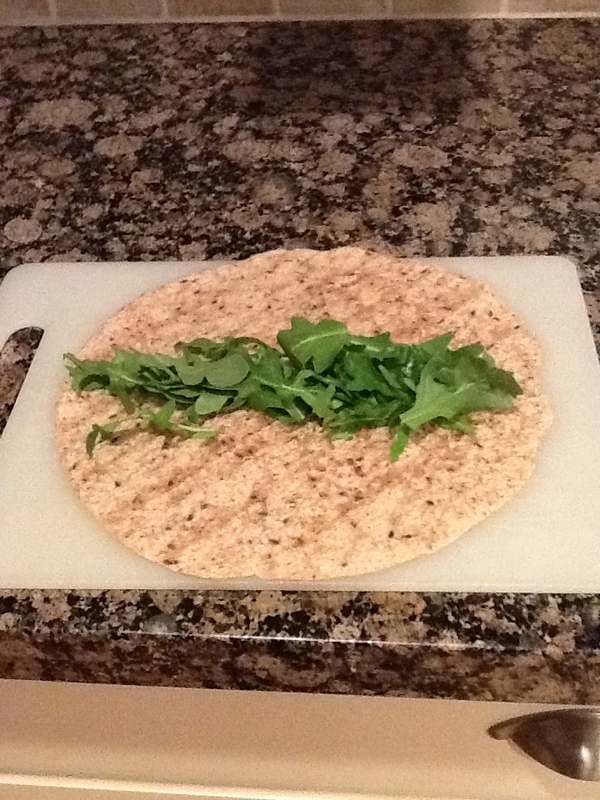 Wrap the tortilla. 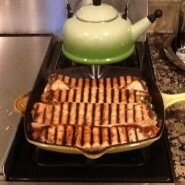 Complete with all 8 tortillas. 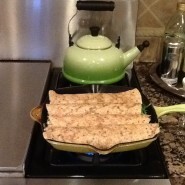 Put as many wraps as will fit in the grill pan and top with a heavy pot or fry pan. Once grill marks have developed on the bottom (about 3 min. 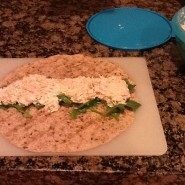 ), turn the wrap and grill the other side (again, about 3 min.). 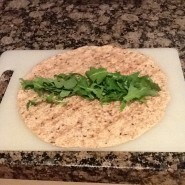 Move to cutting board and slice in half on the diagonal. 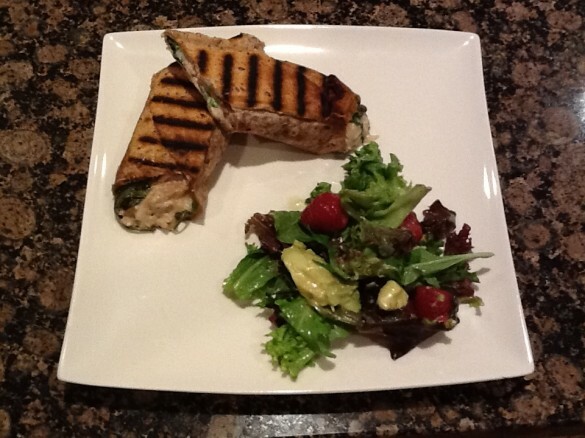 Grill remaining wraps and enjoy with a green salad! 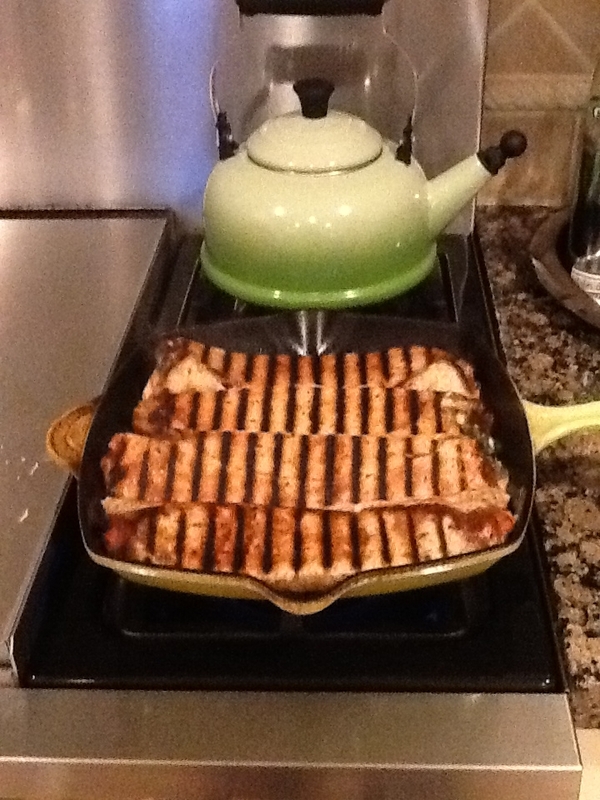 Cut the grilled wrap on the diagonal (fancy pants!) 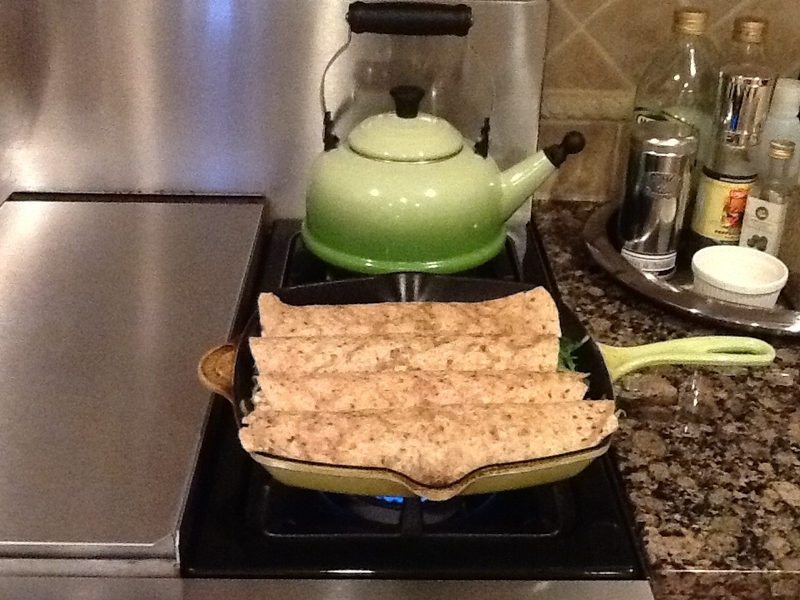 and serve with a fresh green salad! Yum! PS Next time I’m going to try adding fresh basil or cilantro to the tuna mixture! 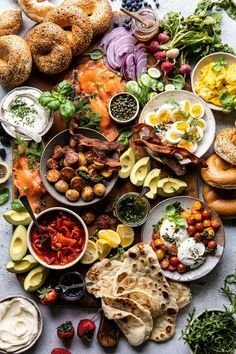 What is your favorite quick meal? Go to our contact page and send us the recipe of your fave quick meal. You and your recipe could be featured in an upcoming post! « Hardwood Floors, 3 Ways!